21 soldiers from the 36th Sikh Regiment died defending their post in the legendary Battle of Saragarhi, which took on 12 September 1897. But there are numerous connections that make it an integral part of Australian - Sikh heritage, as revealed in this audio feature. 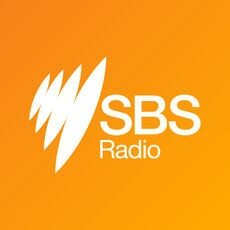 Click on the link to hear this special presentation from SBS Punjabi. The unparalleled bravery of 21 Sikh soldiers who died defending the Saragarhi post, fighting gallantly against hundreds of Orakzai tribesman back in September 1897, is commemorated in the annals of military history as the greatest tale of valour ever recorded. The valiant soldiers of the 36th Sikh Regiment have already been the subject of many books, articles, documentaries and movies, with another major Bollywood production 'Kesari' released just yesterday (March 21). But did you know that there is an Australian link to the legendary Battle of Saragarhi? Saragarhi was a small rocky outpost situated between Fort Gulistan (Cavagnari) and Fort Lockhart in the North West Frontier Province, now Khyber Pakhtunkhwa in Pakistan. It was manned by just 21 Sikh soldiers who repelled a ferocious attack by the tribals for many hours. Led by Havildar Ishar Singh, the valiant soldiers fought unto their last breath, going on to killing and wounding hundreds of their attackers. News travelled fast and almost every Australian newspaper reported this within days. This is where the Australian connection comes in, because a British officer who was second-in-command of the 36th Sikhs, called the fallen sepoys of Saragarhi “men of mine”, adding “they died fighting like demons.” He and his band of soldiers went on to defend the ensuing attack on Fort Gulistan, despite a siege that went on for three days. Six years before the Battle of Saragarhi, an officer from Australia’s Queensland Defence Force had joined the 36th Sikh Regiment of the Bengal Infantry. Major Charles Des Voeux had been serving as the Deputy Assistant Adjutant General and Infantry Staff Officer at QDF, before he was posted to India. He and 166 of his men from the 36th Sikhs, along with his family were stationed at Fort Gulistan, during the uprising of 1897, when Saragarhi fell. Thousands of tribesmen laid siege at Fort Gulistan, where Major Des Vouex, his heavily pregnant wife Eleanor and their three children were confined along with the garrison. Heavy fighting ensued and under the Major’s command, the 36th Sikhs did not “give an inch”, and despite heavy casualties, they “captured three of the enemy’s standards”. The bravery of Havildars Kala Singh and Sundar Singh during this seige, was especially highlighted in an article published in the Australian Town and Country Journal on 8 July 1898. Records indicate that Eleanor Des Vouex and their Australian nanny Teresa McGrath nursed the injured soldiers, and tended to their wounds until reinforcements could come and the attack was finally quashed after three days. Mrs Des Voeux gave birth to a baby girl during this siege. She was named Violet Samana, after the name of the mountain range around them. Captain Jay Singh-Sohal, who has written the book Saragarhi: The Forgotten Battle and has presented the docu-drama Saragarhi: A True Story, told SBS Punjabi more about Maj Des Voeux’s role in the battle. He joined the 36th Sikhs in August 1891, and as was stationed at Fort Gulistan when the tribesmen launched the attack on Saragarhi and the surrounds in September 1898. Talking about Saragarhi, Major Des Voeux wrote, "The fort next to us, with twenty-one men of mine and one follower, was taken by storm, and fell at 3.40pm on the 12th”. "The whole garrison were killed. I hear they died fighting like demons." "My men here (Fort Gulistan) fought like tigers, but we lost heavily – forty-four out of the 166, killed, wounded and missing. Things are very serious indeed but my men pulled me through." Major Des Voeux then praised the role played by his wife’s nurse, Teresa McGrath during the siege. “Teresa surpassed herself attending to the sick and wounded. Her name has gone forward for reward and I hope she will get it. She will certainly get the medal and probably an order. I have recommended thirty of my men for the order of merit (the Indian Victoria Cross). The 21 Sikh soldiers who died fighting in Saragarhi received the Indian Order of Merit (IOM) medal posthumously. All those who fought on the Samana and the subsequent Tirah expedition to subdue the Pashtuns received a campaign medal, the India Medal 1895-1902, with clasps for their areas of operation. It was reported back in Australia, that Teresa McGrath was an orphan - a ward of the state, who showed exemplary courage on the battlefront at Samana ranges. What happened to the Des Voeux family thereafter? Des Voeux received the Indian Medal, with clasps for the Punjab Frontier, Samana and Tirah. A year after the tribal uprising, he served in operations in Sudan, for which he received both the Queen's Sudan Medal and the Khedive's Sudan medal. He and the Sikh soldiers who fended off the siege are still fondly remembered as 'Gulistan Bahadurs' (the brave men of Gulistan). Although there are no known photos of Des Voeux wearing a turban, it was common for British officers commanding 'native regiments' like the 36th Sikhs, to wear a turban like their troops, and follow their traditions. Capt Singh-Sohal and SBS Punjabi are keen to establish contact with the descendants of the Des Voeux family, to continue this research about the Australian links to the Battle of Saragarhi. On Friday June 16, the Governor of South Australia hosted a historic reception in Adelaide, to mark the centenary of the death of a decorated Australian soldier Private Sarn Singh. Anzac Day is commemorated every year on 25 April to mark the landing of Australian and New Zealand (Anzac) troops on Gallipoli in 1915, in the Turkish peninsula. This military campaign during WWI lasted eight months and claimed at least 125,000 lives. Many Sikhs paid the ultimate sacrifice on Gallipoli too, including 80% of the soldiers of a single Sikh battalion. Australia and India share a rich social, cultural and military history that dates back to almost 150 years ago. SBS Punjabi team explores these connections, through a series of video productions. Havildar Waryam Singh was a Signaller in the 14th Sikhs, the battalion that fought alongside the Anzacs in the Gallipoli campaign in 1915.